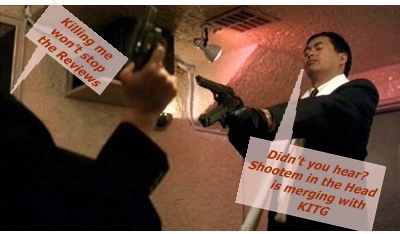 In a way to stream line the sites of the group , action film site Shootem in the Head run by Jonas Namm will be merging with Kickem in the Ghoulies by May 2015 or maybe sooner. This means there will be a dedicated section for all the Shootem content from a film point and as well as other features. Any gaming content will be associated with the Cosplay Heroes site and published there as the time nears. Being as we are a fan site it is the only way for us to cut down on the costs and basically splitting the costs of running the site. 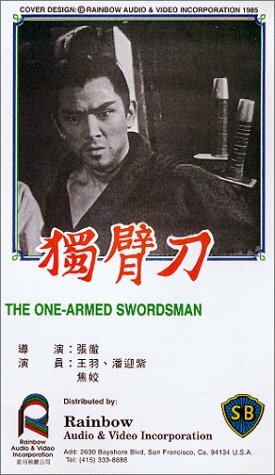 As far as our database site Martial Flick is concerned ,this is still in a update mode ,though all content is viewable to visitors. The end result is your be able to visit this site by using either of the domain names. As well as having more content to view in one space. 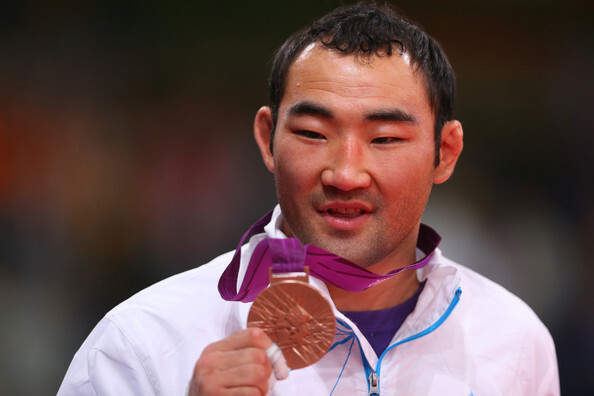 Just published on site is our look at the 2012 Olympic Fighting arts which are featured at the current London Olympics. With daily updates until the end of the Olympics , we will give the results for Judo,Taekwondo,Boxing and Wrestling.With pictures where available. Of course at present the page is a work in progress ,but as the days move on more will be added. It doesn't matter who your cheering for ,whether it be Team GB ,Russia Uzebekistan or any of the other 200 odd countries taking part . For on K.I.T.G. 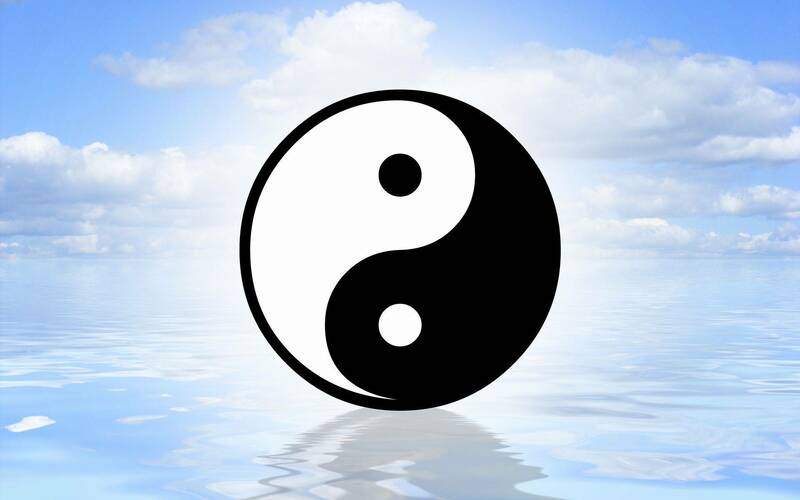 there are no favourites as in the Martial arts and contact sports ,there's not just sportmanship but Respect and Honour. And in the end it's about taking part and being proud to part of the Martial Family. Sertes Nake , Wishing everyone the best for the 2012 Olympics. The Raid -2012 Indonesian film with new star Iko Uwais of Merantu fame. and last but not least ,Tsui Hark's re-tellin of the Dragon Gate story with Jet Li, yes it's the Flying Daggers of Dragon Gate. We have also covered the MCM EXPO in London in May for all you Gaming and Anime fans.the feature page and Photo gallery is up Now. Now as i type theHK15 Film Festival is taking place in London at the Odeon Covent Garden .the Festival kicked of on the 2nd of July with Ann Hui's Simple Life and runs to the 14th of July and the closing film which is Johnnie To's ''Life Without Principle''. In between they will showcase another 13 features from today and yesteryear plus a Shaw Brothers double bill on Saturday the 7th . Check the Calendar page for more details or click the Banner below . 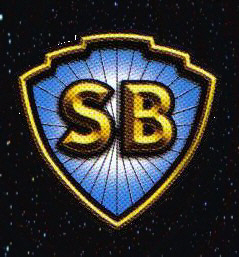 Over the course of the next 4 weeks or so we will be reviewing some of the films ,if not already reviewed on site already and adding to this we cover other films including the Shaw Brothers classic 14 Amazons in a double header with the recently released Legendary Amazons. Classics covered on site this month. We also look back at John Woo's Red Cliff ,but this time in it's Bluray full uncut edition . 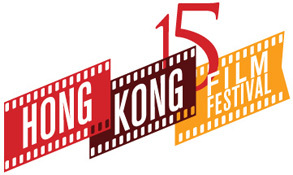 Look out for our feature page on the HK15 Festival in a couple of days which will be updated as we view the films where attending. Then where off to the London Film and Comic Con ,so look out for a feature page on that,having not attended before ,it depends on how bigger a feature it will be. Could be massive or small ,watch this space. The events slow down after that with the Olympics happening in London, so our next big ventures out will be in September when Hopefully Japan Matsuri will return ,but no date has been announced yet. Then our resident game reviewer is of to cover the Eurogamer Expo for a couple of days at the end of September as they kindly sent a press pass for him. Lucky Bugger. Next Month we go all Korean on site ,with the Olympics happening ,we look at the Taekwondo compettion (on TV of course ,who can afford the prices to sit behind a concrete pillar) and we cover a barrage of Korean action films starting with recent epic ''War of the Arrows'' and the Slightly older ''Sword with NO NAME'' add to this a Korean Director expose covering films like Arahan ,Crying Fist and more. 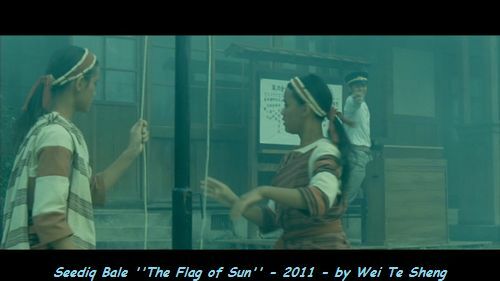 So where be flying the flag in August ,just that it will be a Korean one. So till next time ,Be Safe ,Train Hard and May it be Well with You, as you know It's The Only Way To Survive. Crazy Days ,A Film Marathon and Martial arts stars. Been meaning to update here for a while ,but getting features on site seemed more important ,Anyway since the last blog, many new films have been reviewed on site with many more to come, April saw us attending the Terracotta Far East Film Festival in London ,they showcased some 16 films plus a triple bill horror night. We where there for seven screenings over 3 days, to see the lowdown on the show visit the sites dedicated event page on the event. Here. Now with May upon us we are fast approaching the Birmingham Martial arts show, which last year was a great show offering seminars,live performances and Star interviews and photo's. This year the show was set to be a lot bigger with the MMA section of the show being in a independent hall,as of Yesterday this part of the event has had to be cancelled due to unforeseen circumstances. 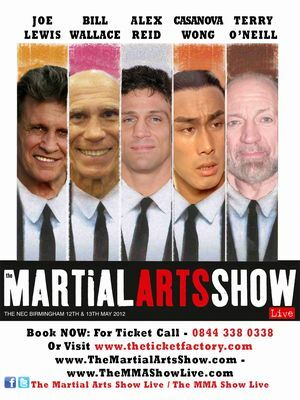 ***Please be aware that the Martial Arts Show part of the event is still on,and that the MMA show is being rescheduled for October,please visit the official site whose link is located in the calender section of this site or their face book page. There's still a lot of stars and top flight performers appearing over the weekend ,so don't let it dampen your mood, Richard Norton and Don the Dragon Wilson had to pull out at the last moment due to work commitments, Hopefully Kwoklyn can rearrange for them in a future show. That still leaves ,Joe Lewis,Bill Wallace,Silvio Simac,Cassonova Wong,Terry O'Niel and many more to fulfill your enjoyment. Hope to see many there. On another note ,Hyper Japan is set for a second outing this year in November ,being held on the 23rd to the 25th the Christmas Hyper Japan should be a great event for all you Japanese Pop culture fans,plus after this Springs event which showcased some good martial arts as well it should once again fulfill your expectations. But before then we have a few other events to cover . New update after the Show at the weekend .